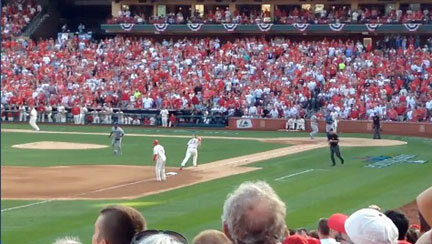 If you've been lucky enough to experience a St. Louis Cardinals playoff game, then you already know there is nothing like it. QNN wants everyone to experience something like none other, from watching fans go crazy like they did when Jon Jay's sacrifice fly scored David Freese to the game ending strikeout. Thanks to our great friend, Tyann Marcink, our readers get to enjoy every minute of it. 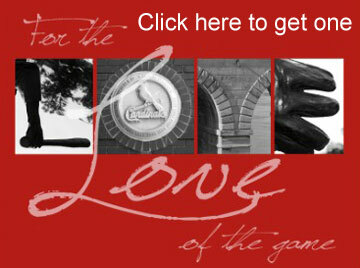 Enter to Win a St. Louis Cardinals "For the Love of The Game" from Marcink Designs. We hope you enjoy. 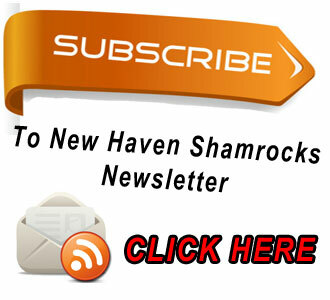 Sign up to receive Tyann Marcink's newsletter and “like” Tyann on Facebook.